In a recent interview with Shigeru Miyamoto, the Zelda creator once again spoke about a potential remake for the Legend of Zelda: A Link to the Past. 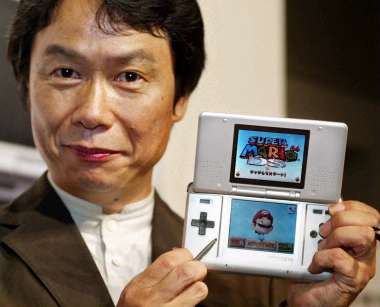 Specifically, Miyamoto responded to a question in regards to future Nintendo remakes. This piece of news comes just two weeks after we reported on a possible A Link to the Past Remake. Miyamoto has said to have been working on a project for Zelda’s 25th anniversary. It is believed that this project that is being talked about is not Ocarina of Time 3D or Skyward Sword, but rather, something we don’t know of. He mentioned that seeing A Link to the Past in two layers would be quite attractive to him, and now he’s saying that it would be good to see that world in a layered 3d effect. Basically making the same statement, but now on two different occasions, at the same time while he is supposedly working on a secret Zelda project. Ironically, Miyamoto recently talked about the rumors of Project Cafe, Nintendo’s tentatively titled next home console, and he stated that where there is smoke, there is fire. Well, from what we’ve heard from Miyamoto in recent weeks, it sure seems like there is smoke to an A Link to the Past remake rumor. So if there is smoke, is there fire to this rumor? Do we really want to see yet another Zelda remake? Would you rather see some brand new Zelda content? Be sure to let us know by posting in the comments below. As always, be sure to stay tuned to Zelda Dungeon for all the latest news and rumors about Skyward Sword, Ocarina of Time 3D, and possibly an A Link to the Past remake.